On behalf on the Aberdeen support, we have acknowledged past and present players, managers and fans with the Distinction of Notable Service (DONS) Award. The award celebrates outstanding servants to the Club; whose contributions in the stands, on the pitch or behind the stadium walls should never be forgotten. All winners have been presented with the award by DST members, with each receiving an awards scroll produced by local artist, Dod Dow. Willie Miller is Aberdeen’s record appearance holder, turning out for the Dons an astonishing 797 times. He captained the side during the most successful period in the Club’s history, lifting trophy after trophy domestically and in Europe. Widely regarded as Aberdeen’s best ever player, his 23-year stint at Pittodrie also included three as manager. Joe Harper found the back of the net more than any other Aberdeen player, scoring 199 goals in 300 games. His goalscoring prowess made him a firm fan favourite, an affection that extends to this day. A great character, Joey can still be found making regular social appearances at Pittodrie. The Beach End may be no more, but its King lives on. Teddy Scott had a truly remarkable association with the Club. Before retiring in 2003, Teddy served AFC for nearly 50 years as a player, trainer, coach, kit man and more, working under no fewer than 15 managers. Teddy was awarded a testimonial despite his playing career being somewhat brief. He died in 2012 a true club legend. Norman Goldie was one of the most instantly recognisable faces in Aberdeen. The lifelong Dons fan was rarely seen without the club badge, always dressed in Dons attire. His socks (one red, one white) and sandals became an iconic sight home and away, as Norman barely missed a game. Norman passed away in 2016 and his Merkland Road seat has been retired. Neil Simpson served Aberdeen with distinction both on and off the pitch. Making over 300 appearances for the Club, spanning its most successful era, Simmy’s battling performances made him one of the Red Army’s favourites. Breaking into the team as a teenager, he now works with the AFC academy developing the next generation of talent. Sir Alex Ferguson is arguably the greatest manager in the history of football and his contribution to AFC is testament to his ability to demand and achieve success. 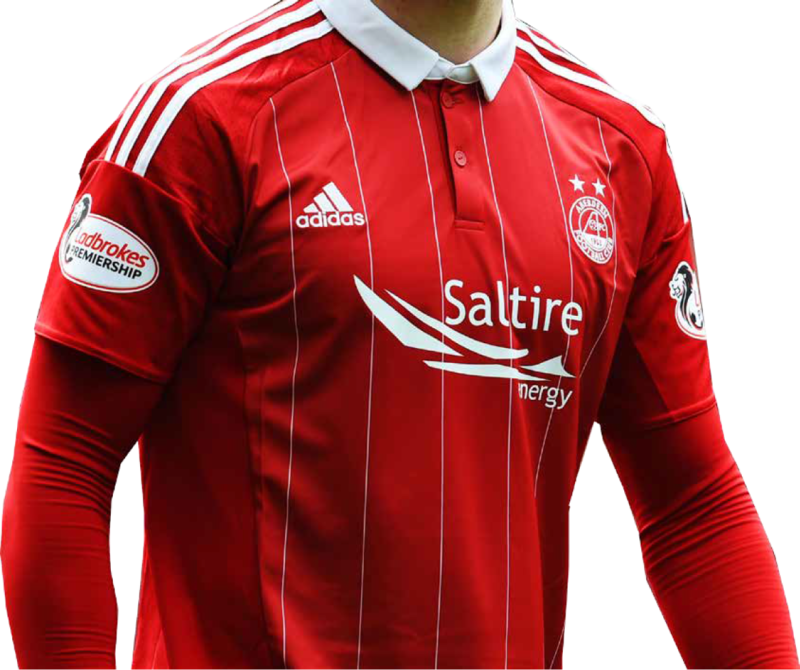 In seven years at Pittodrie he lead the side to 10 major trophies including the UEFA Cup Winners’ Cup – the Club’s greatest ever achievement – beating Real Madrid in the final. Brian Irvine was a huge favourite at Aberdeen. An honest and committed player, he went on to make nearly 400 appearances over 10 years at the Club and despite the reputation as an uncompromising defender, he will be forever remembered for hitting the net with the winning penalty in the epic 1990 Scottish Cup final. Ally Shewan played for the Dons from 1960 to 1969, including an incredible 320 consecutive games. Ally was a versatile player but established himself as a robust left back as well as a fan favourite adored by the Red Army. He went on to serve as a match day ambassador and ended his 50-plus year association with AFC in 2016. The Gothenburg Greats is the name by which the 1983 Cup Winners’ Cup side has become affectionately known. On a sodden night in the Swedish capital the Dons outmaneuvered Real Madrid, the most successful club side in European competition history, to lift the trophy. Stuart Kennedy accepted the award on behalf of the team. Stephen McCormick was the driving force behind some of the spectacular fan banners and displays that have encouraged and inspired the Dons players and fans. The iconic card display at the 2014 League Cup final will never be forgotten, nor will the many displays Stephen arranged both at Pittodrie and on the road. Former Dons physio Dave Wylie is the 11th winner of the DONS Award. Dave spent an incredible 33 years at Pittodrie from 1983 to 2016. DST Chairman Kevin Mackenzie presented the award to Dave at the Stand Free Youth Development dinner in April 2017.